Happy Friday everyone! Even though this was a shorter week because of Memorial Day, it still felt long. Was it long for you, too? Regardless, here we are, and it’s Friday. YEAH for Friday. Fridays here in Wisconsin are awesome especially when it comes to eating. Whether it’s Lenten season or not, every restaurant around has Friday fish specials. That’s just the way it is around here. . .fish fry Friday. So, I thought it was quite appropriate to share a fish recipe today! 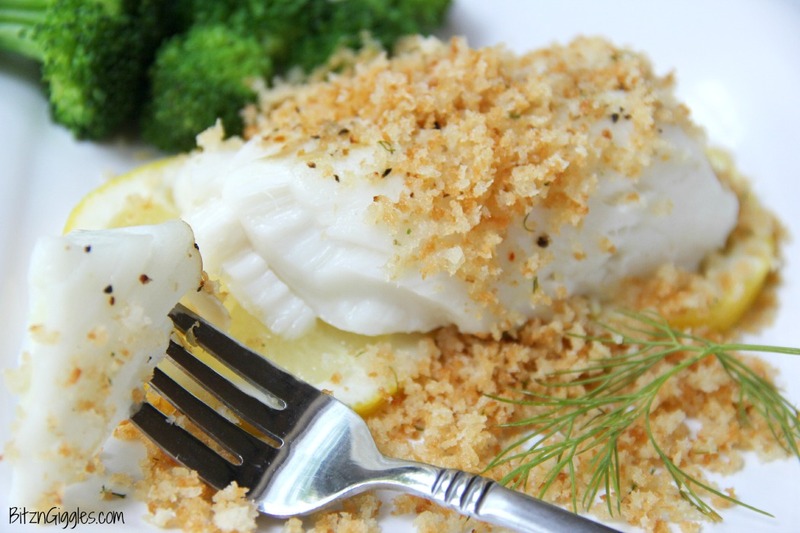 This Lemon Baked Cod is obviously not fried – nope. It’s baked. . . on top of lemon slices and then topped off with panko crumbs. . . bursting with flavors of lemon and dill. YUM. . .O. Baked cod is something I crave often. There’s just something about the freshness, the clean taste. I never feel overstuffed after eating a light seafood dish. I just feel satisfied – the way I want to feel after a meal. One of my favorite cod recipes is this Poor Man’s Lobster (another Wisconsin staple dish), but I honestly adore cod no matter how it is prepared. If you’re looking for something subtle, light and healthy, this is where it’s at. 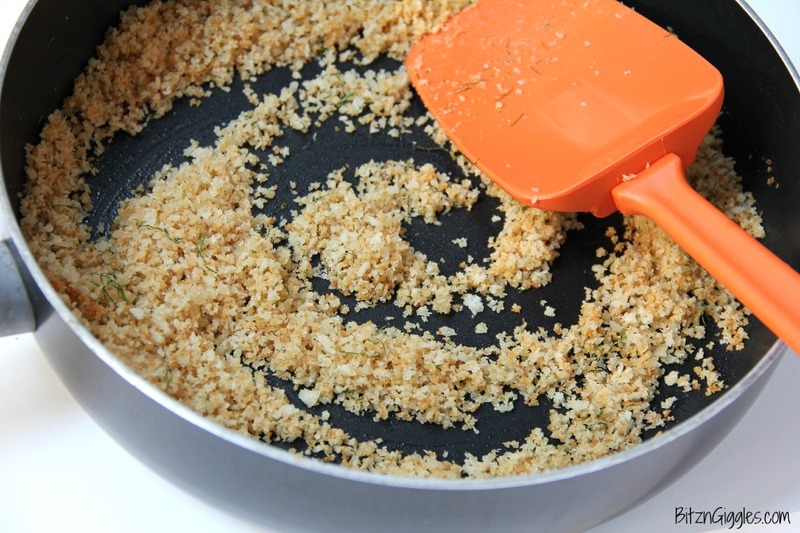 The panko crumbs are combined with fresh lemon juice, dill and a bit of salt and butter. Browning the panko in the skillet for a minute or two crisps the crumbs and creates the perfect topping for this gorgeous, flaky white fish. Serve the cod alongside some fresh steamed broccoli florets, and you’ll have a meal you find yourself coming back to again and again. One, because it’s super easy to prepare, and two, because it’s absolutely delicious. 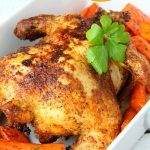 Even though it’s grilling season, I never hesitate to heat my oven to make this meal. I’m pretty sure I could eat this once a week, every week. 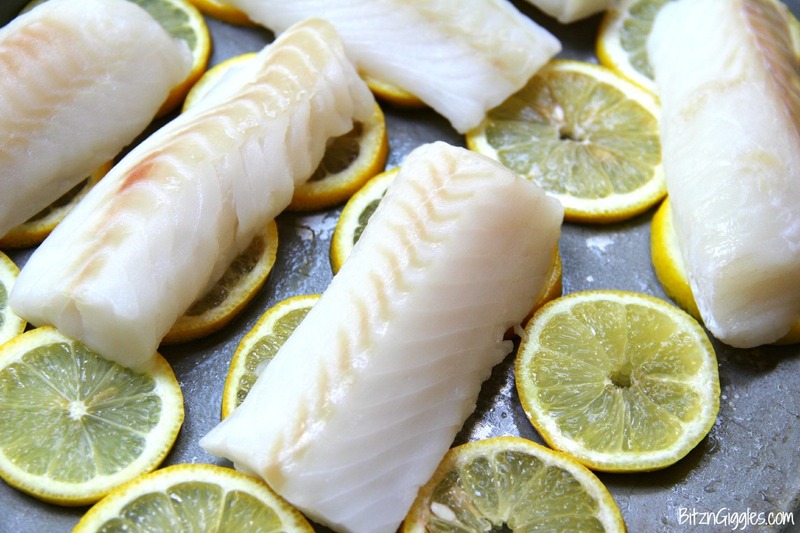 If you love the mild and subtle taste of cod, just wait until you taste it infused with lemon and dill. Mind blown. It’s the perfect flavor combination for a perfect end to the work week. TGIF, friends! 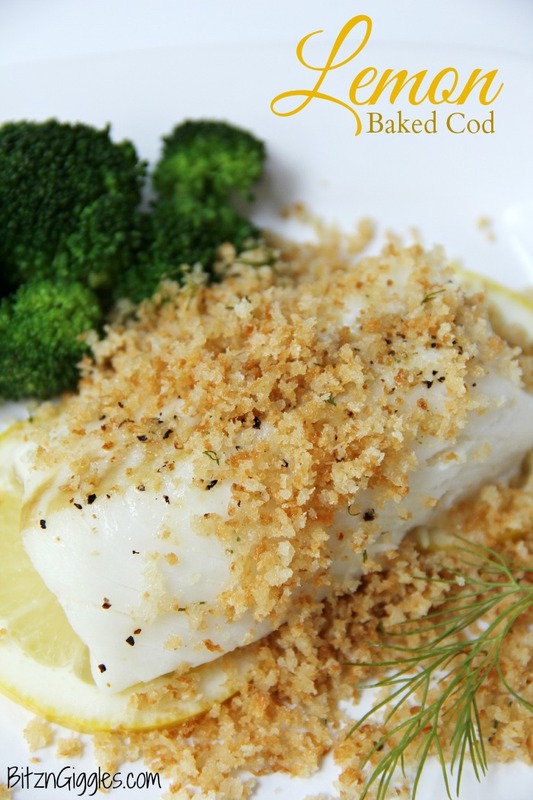 Lemon Baked Cod – Flaky white cod baked on top of lemon slices and then topped off with panko crumbs. 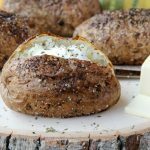 . . bursting with flavors of lemon and dill. Spray a shallow baking pan with nonstick spray and set aside. Thinly slice two lemons and place slices in a single layer in the greased baking pan. Arrange fish on top of lemon slices. 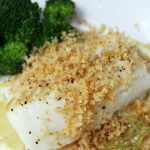 Brush cod with the melted butter. Season the cod with salt and lemon pepper to taste. Bake 17-19 minutes or until fish is opaque and flakes easily. While fish is baking, melt the 2 tablespoons of butter in a skillet over medium heat. Add the panko crumbs and cook for 2-3 minutes or until golden brown, stirring constantly. Remove from heat and add two tablespoons of oil, dill, one teaspoon of salt and juice from half of a lemon. Transfer fish to a serving plate or platter (discarding the lemon slices) and squeeze the juice of 1/2 a lemon over the fish. 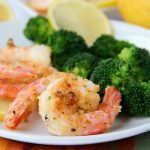 Top with the panko crumb mixture and serve immediately with lemon wedges. 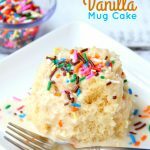 This looks yummy!! I’ll have to try this for dinner sometime soon! Mmmm…lemon on fish is so good!